Everyone in a position of responsibility knows the tension of leadership. It may be between tasks or people, money or mission, the present or the future. One often neglected tension is between our inner spiritual longings and the outward needs of the group we lead. But we need not feel forced to choose between the two. Leadership has more in common with an ellipse with two focal points than a bull's-eye with a single target. 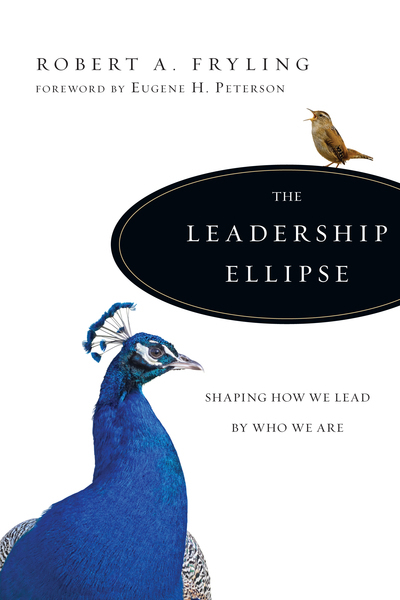 The Leadership Ellipse is designed to help Christian leaders embrace both halves of the tension--our internal relationship with God and our external relationship with others--to find a truly authentic, integrated way to lead. If you find yourself in a lonely, isolated place of leadership, this book can be your companion. If you find yourself longing to lead in a way that is truly Christian, this book can be your guide. And if you are simply exhausted, then this book can offer you a new way to find refreshment. There is life beyond the bull's-eye.